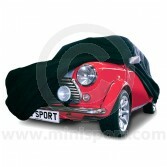 Take a look at a complete range of high quality Indoor and Outdoor covers for Classic Mini’s – part of the Mini Accessories & Merchandise department at Mini Sport. 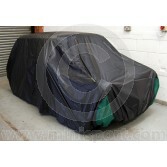 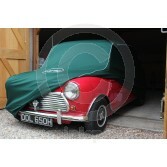 Our Indoor & Outdoor Car Covers have been specifically made to fit all Classic Mini Saloons including the Mini Traveller. 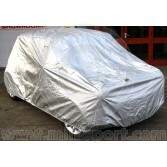 The Indoor Car Covers are light-weight and dustproof, finished in a silky black material for in-garage protection from knocks and spills. 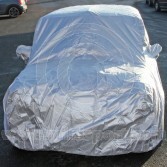 The Outdoor Car Covers for Classic Mini have been developed to protect against environmental concerns, industrial pollutants and weather conditions with a waterproof finish, an all-round hem with an elasticated finish and underneath straps and ties to combat severe wind. 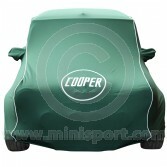 Our selection of Outdoor Classic Mini Car Covers are further proofed with an aluminised finish to reflect ultra violet sunlight and heat.